I wanted to share a few more hints & tips for using the Janome Quilt Binder. 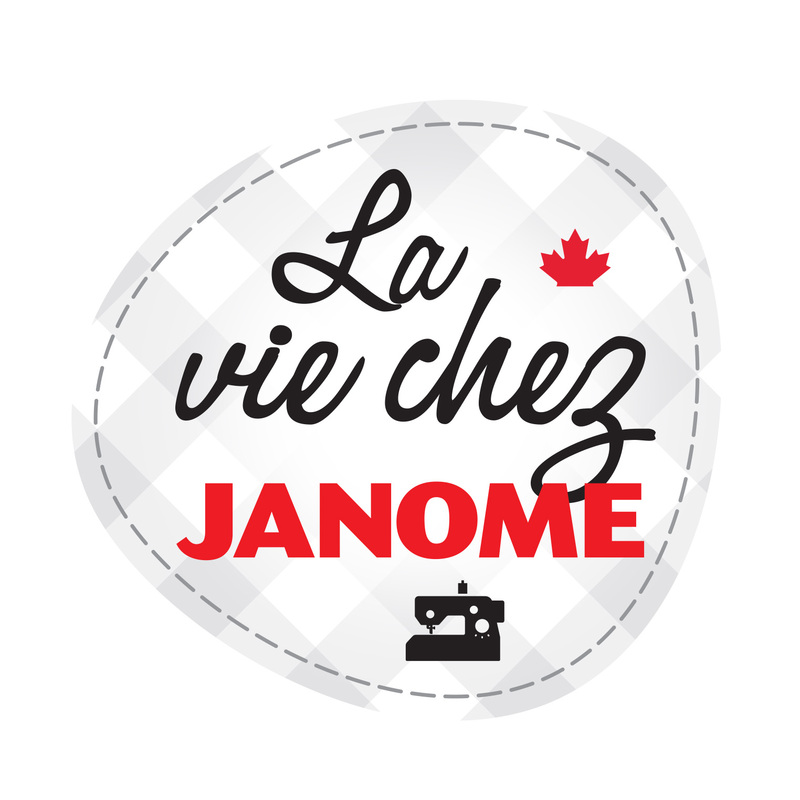 There have been a number of blog postings about this incredible Janome accessory. Please scroll down the archives on the right hand side of the screen and you will find them all to review. There are at least 4 or 5 other blog postings on this attachment with much information and assistance. Some of the information here is a review of previous postings but I have added some more hints & tips. I have recently bound 10 or 11 small quilts and placemats so I have had a lot of practice again after being so busy with the launch of the Janome Horizon MC12000 for quite a while. Assemble the Quilt binder accessory as per instructions on the blister pack and previous blog postings on this website. Feed the 2 inch wide binding strip into the binder wrong side facing you & pull about 4-6 inches of folded binding out under & behind the sewing machine foot. Lower the foot to hold the binding in one spot. Feed the quilt edge into the “mouth” of the quilt binder accessory. I would suggest you start well away from any corners and leave that tail of 4-6 inches of the binding – you will need it for the final joining of the 2 ends of binding. Select the stitch you wish to use for attach your binding (straight or decorative) and adjust the 2 front screws hoding the quilt binder to the base plate until you are satisfied with the needle drop for the stitching. You can certainly adjust this again once you start sewing if this is necessary. I would check that the seams you have sewn previously to join the binding strips are NOT going to fall near or on a corner. It is not an impossible task if this does happen but it does make things a little trickier. So avoid this if you can. To review: Do NOT press these join seams open: there is no point as the seam will just flip backwards as it feeds through the binder. Rather press all seams towards the end of the binding strip. Try NOT to stretch the binding as you press. When you start nearing a corner: continue sewing to the EDGE of the quilt or placemat. Do NOT stop 1/4 inch before the edge like you do with the more traditional method of binding quilts. Cut the threads and raise the presser foot. Then pull the binding carefully out of the binder unit and under the foot going straight backwards. Do this gradually in 2-3 inch segments finger pressing the folds on the quilting table/sewing bed of the machine. Pull at least 4-6 inches out to the back to give yourself enough to work with when you do the next step. Pull binding out to the BACK and finger press well without stretching fabric. Lower the presser foot to hold the binding while you fold the mitered corners. Fold mitered corners & pin on the top & underneath. Pull the binding strip slowly & carefully back into the binder accessory to take up all the excess you pulled through before folding the corners. Position foot as close to the corner as possible & start sewing slowly again for the next side of the quilt. Go all the way around the project and stop approximately 6 inches from where you started. Remove the binding & quilt from the machine & binder and trim the 2 ends to about 4 -6 inches long. Press the "tails" to ensure folds are even & flat. Cut strips where they overlap - about mid way in the not yet sewn section. Yes, please note I cut them without an overlap. This is to ensure the binding lies flat and does not stretch & bunch up. Fold quilt or placemat and pin to take up some of the project so that it is easier to work with the ends to join. After sewing a 1/4 inch seam join on the binding, pin in place across the quilt. Check both sides are lying flat & even. Completed Christmas placemat. 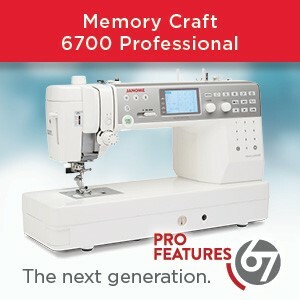 Please note that Merry Christmas stitching was done using Horizon Link on the new Horizon MC12000. 3 placemats all in a row! Placemats are an EXCELLENT way to practice perfecting your technique on the Janome Quilt Binder set. 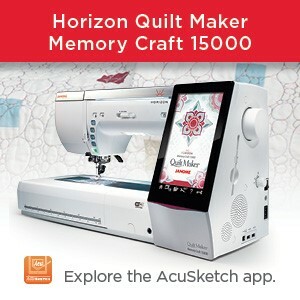 This entry was posted in Creativity, Decorative stitches, Horizon MC7700QCP, Janome Accessories, Janome Quilt, Janome Sewing Machine, Uncategorized and tagged JANOME HORIZON MC12000, JANOME QUILT BINDER SET. Bookmark the permalink. I have tried using the quilt binder, but without a lot of success. You have provided some additional tips that I hope help out the next time. The pictures and the explanation all seem very clear and helpful. I’ll have to try some placemats real soon. Thanks so much! Thanks Julie – Let us know how they come together! Please have a look back in the Archives (scroll down right side of blog screen): there are a number of blog posts on this attachment dating back to July 2010. They are all good and should help you a lot. However, at the end of the day, PRACTICE is the key word. I honestly only felt I had “got” it after I had done about half a dozen projects. Now with more than 2 dozen under my belt, I now find it quite easy if you follow my advice in the latest blog. Persevere…..you will get it and then you will marvel at how awesome an attachment it is!! I been thinking about buy it. But at the store I go to the sales lady keeps telling me….I would ask her how it works? She would always say…Oh, I’ve never tried it before. And then walk away. So, then I would walk away. 😦 But know it looks pretty easy to do. I think I’ll go get it. From a different store though. Thank you! That is disappointing. 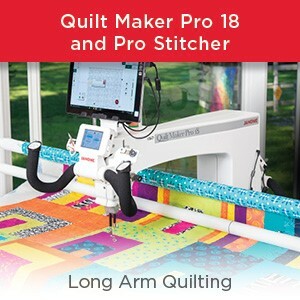 I have told many people that I was not convinced this would be a good seller as I was perhaps a bit of a snobby quilter who thought she knew it all…..Why would I need this attachment when I can do the binding from start to finish on a queen size quilt in under 1.5 hours? That was until I tried the Quilt Binder, practiced well and LITERALLY halved the time it takes me to put binding onto a quilt. That was super impressive to me and I totally changed my opinion of this attachment. I simply would NOT wnat to be without it now! I reckon it has paid for iteslef several times over already in the time I have saved doing my quilt bindings. Please have another look at this attachment, check out our blog postings and I am quite sure you will not be disappointed. Does this binding foot fit only certain Janome machines? I have an older one. Looks great. Hi Mary Ruth – Which model do you have? This attachment works on the following Janome machines: MC6500P; MC6600P, all models of MC11000; MC7700QCP and MC12000. It will also fit on the following Elna machines: EL7200; EL7300; EL9500 & EL740. Hope that helps you. If you would like to upgrade your machine to one of the above, please visit your local Janome dealer who will be happy to show you these machines and the Quilt Binder.